When not blogging about food, Daniel Ang is a corporate trainer and lecturer teaching Mass Communications and Social Media at various institutions. He had presented in Radio1003 for more than 10 years, known for a food programme of the same name “Daniel’s Food Diary”. 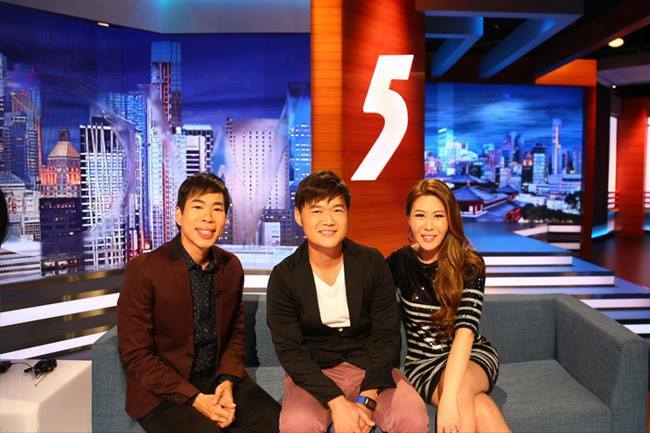 Other than radio work, he has hosted a travelogue “Youth Quest” with Channel U which won the Asian Television Awards; and The Supper Places, a food segment under The 5 Show on MediaCorp’s Channel 5. Currently, he also seats on various food related judging panels, including the prestigious Singapore Blog Award and Epicurean Star Award. He thanks the good Lord for all the wondrous things he has done in his life. The following interview is done by his students, and he thought he should share his answers here. Why do you choose to blog about food? Why not other topics? Food is a more timeless topic and seems to resonate more closely with what many Singaporeans are fond of. Food brings people together. What/who inspired you to become a food blogger? Moses Lim. If you have spoken to him, you know that he is very passionate and detailed about what he loves – food. His dedication towards his craft and people in what inspires me. Food is never really just about food, it is about the people. What other interest do you have other than blogging about food? Exercising, if I can afford the time. What is your favorite food review you have done & why? There are no particular favourites – but I generally prefer those where I got to speak with the owners of the food establishments. I learnt a lot from owners and chefs of Crystal Jade, Da Paolo, Astons, MOF, Andre etc – They are all humble people who worked really hard for their dreams. Is there any food blog that inspires you? Some of those I like reading include Camemberu, MissTamChiak, and Cuisine Paradise who are usually more personal. I enjoy blogs which are more real where you can sense the personality of the writers. What are the motivations that drive you in doing a food blog? Definitely not money. Few can earn a decent living out of blogging (yet). I hope this can lead me to something greater, such as publishing a book or opening a café. Have you ever received any negative feedbacks or setbacks? Yes, readers do complain – such as recommending a ‘wrong’ place. You just have to keep in mind that 1) Taste is subjective 2) They are not personal. Do note that DanielFoodDiary.com generally declines media tastings, events and food products. This is my first time reading your blog and knowing u through your blog. I would like to say a big thank u for the information provided. I enjoy the latest entry regarding cny goodies. I finally found people who can agreed with me that Lao yu sheng is only healthy without the plum sauce and oil. Thanks once again . 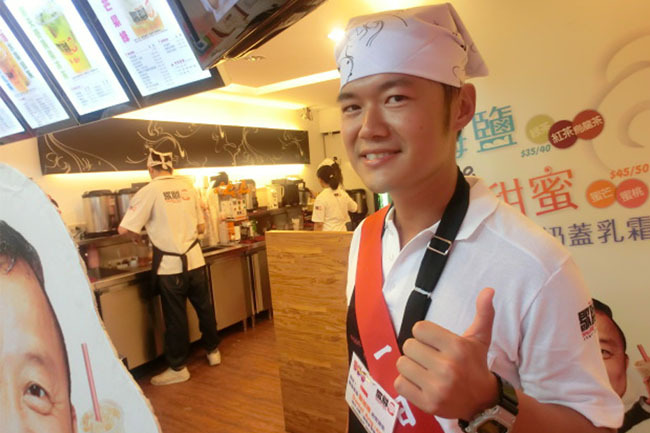 This is Ben from Eat and Travel weekly Hong Kong. I’m going to write a story about the restaurants in Singapore. I will be Singapore 29/3-4/4. Will there be any chance to catch up and have a chat during my visit? The theme of my story is about the new generation of Singapore who born in 80’s and 90’s. Would like to write a story about how their lives are. We are interested in the small shops they have. For instance, shops in Haji Lane and Holland Village. The restaurants, also, which are managed by them, like 2 a.m. dessertbar. I’m still seeking more information, if there are some more shops or stories, please let me know. The night life, also, is one of my story line. Since its launch in 1997, Eat & Travel Weekly has established itself as the most influential, authoritative and user-friendly magazine of food, travel and lifestyle in Hong Kong. It is the first weekly magazine to specialize in featuring food and travel, and is highly reputed with its rich variety of food and travel stories, credible restaurant reviews as well as refined and lively visual presentation. Eat & Travel Weekly reaches a very wide spectrum of readership aged from 18 to 45, and the circulation per week amounts to about 180,000. Research shows that a number of them are affluent young professionals with high spending power, they are passionate about looking for fine-quality food, they keep planning to explore attractive destinations for holidays, and in general, they are very concerned about upgrading their quality of life. What keeps impressing the readers is our thematic approach for destinations, which enables a very in-depth study of local food cultures. From metropolitan cities like Tokyo, Paris, London, Yew York to hideaway escapes like Bali, Crete, Tasmania, the Seychelles to destinations off the beaten track like Ethiopia, Iceland, Arizona and East Timor, the magazine always succeed in giving a silhouette of local ambiance and a comprehensive picture of their daily life. I simply love your Foodie Blog. Keep up the great work, I’ll be following your blog ! You’ve done a great job capturing lots of different foods. This is the first time I am accessing your blog. Wow, what a way to get to know your blog, I mean, the events leading to the Diner en Blanc but it is definitely a good experience. Thank you for highlighting the incident. I get to see your character and life principle, almost unbelievably – through this food events. Thumbs up. Singaporeans are not that all materialistic after all. We are passionate people who have principles and dare to stand up for what we believe in. Found you through Instagram. Thanks for introducing some nice foods in Singapore. I'm a fellow food blogger. If you have time, have a read hungrysingaporean maybe u can get some inspiration of other food places in SG. Found you through Instagram. Thanks for introducing some nice foods in Singapore. I'm a fellow food blogger. If you have time, have a read. http://www.Ahungrysingaporean.blogspot.com maybe u can get some inspiration of other food places in SG. First time reading your blog when I was surfing food reviews on Jap restaurants in Singapore. Like the photos taken too, everything looks yummy! Hey thank you very much Yv! Blessed New Year too! May you do better in the future, and pls share some recipes about black garlic if possible. Hi Steve, thanks for dropping by. I will be working, but I can send you some recommendations. Hi Harriet, thank you for your enquiry. I am sorry that I am unable to help with your assignment, too many requests of late. All the best for your assignment and may you do well! Cheers. You previously blog about our fries and dips back in 2010. We have introduce many new dishes since then. I would like to extend an invitation to you to visit our café again for a food tasting session. We are located at the Marina Link between Esplanade MRT station and Marina Square. Thank-you for your blog on Saigon Lotus. I & my partner are very grateful. I am one of the partners of the restaurant but there is some miscommunication with regards to my professional status. In your article, you name my full name and this could infringe with my professional disclosure with my banking job that I do on a day to day basis ” conflict of interest of employment terms”. Could you please assist me and relook at editing your blog on the restaurant with removing my official name from the article? I thank-you in advance and hope to one day have a chance to thank you personally. Dear Hien Trung, I have removed the name. No worries. I could have possibly taken the information from other press sources, so you may want to check as well. Hope you do well. Hi Daniel, I run my own proofreading company – and I was wondering whether you would be interested in utilising my services. My client will be opening a new cafe soon. I'm very keen to engage your service for review write up on the newly opened cafe. If you come to visit Thailand again plz come to Audrey Cafe & Bistro at Thonlor 11, there is such a nice place and wonderful foods want you to try if it sound interesting plz don't hesitate to contact me, thanks. ur blog is a good read! Olá Daniel, gosto muito do seu trabalho!!! Como muitos devem fazer o mesmo , gostaria de dar uma sugestão . Vá conhecer a gastronomia no Sul da America , BRAZIL . A diversidade da gastronomia é fantástica sabores únicos de produtos da Amazonia !! Faz contato que eu darei boas dicas !! Hi there ! Able to give a review of ice cream cafe ? Upper Thomson road has quite a number of ice cream cafe , able to compare which is better ? Thanks ! Hi Daniel I came to know a lot of good eating place thru your blog. I think it would also benefit some if you can include the price range of the food recomended. Hi Alice, prices of food would always be indicated between the dish. Price ranges are more subjective (some eat 5-course, some eat one dish no drink), so I rather give the prices of each dish. hi, please review beegurt!! It’s really good !! 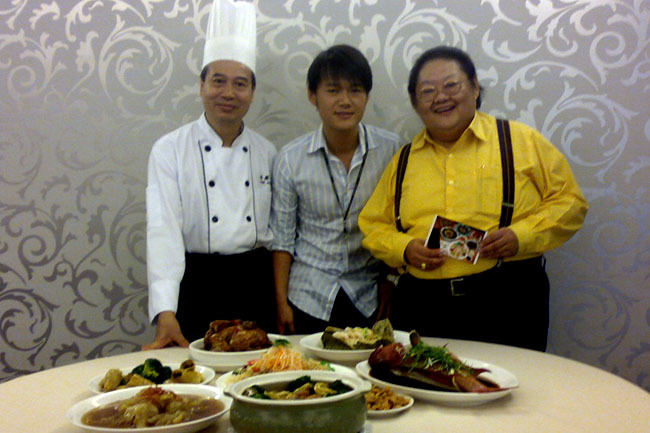 hi there, I am from HaiXianLao Steamboat restaurant, located at 8 wilkie road #01-21. We served live seafood and a wide variety of steamboat ingredients. We have Fuzion styled soup bases from Mala to Laksa and also Jellied Collagen Soup. I have just started this Restaurant for about 4 months and have been looking for more opportunities to gain exposure and feedback for the restaurant itself. I know that you are a respected food blooger, and thus i am writing in to look for advice and also seeking to invite you for a meal at our outlet when you are free. We are from Indonesian Restaurant would like to advertise our restaurant to this site. Can we have the terms and conditions and price? Comparing Pierre Herme and Dalloyau macarons, which do you prefer? Would like to get in touch with you regarding F&B mobile app solutions for potential collaboration, if any. The LG widget is a pain for iPhone surfers on safari. No button to click it away at all. Can you look into it? I read through your website about Bingsu in Singapore. Can you recommend some of the Bingsu Ice Machine’s Brand and Type that you think is good enough? Hi Oscar, I am not an expert, and it will be better to check with suppliers from Korea. I urge you to do thorough research before committing to anything. All the best. Hi Louise, DanielFoodDiary.com generally declines media tastings and invites. Am going to HK this Nov, what is die die must try or eat over there? Dim Sum of course. You can try this page http://danielfooddiary.com/2014/07/25/hongkongfood for some recommendations. Hi daniel, u’d done so food reviews in singapore, is it possible to list down like 10 cafe, restaurant, hawkers or etc that u loved the most?? Great blog you have, do let us know if you are travelling someday soon and we’ll give you some special fares. Also, fell free to drop us an email to see if we can collaborate in the near future.